We invite you to try two classes at no cost and no commitment to see if you’re interested in joining the program. Dive deeper into your study, practice and implementation of Buddhist philosophy into your life through studying the newly republished Joyful Path of Good Fortune. 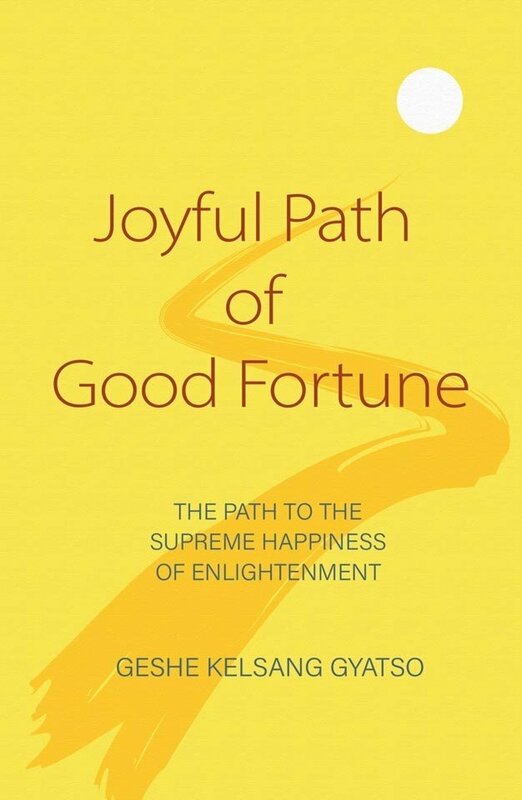 Joyful Path to Good Fortune is a clear and comprehensive explanation of the entire path to enlightenment. We all have the potential for self-transformation, and a limitless capacity for the growth of good qualities, but to fulfill this potential we need to know what to do along every stage of our spiritual journey. 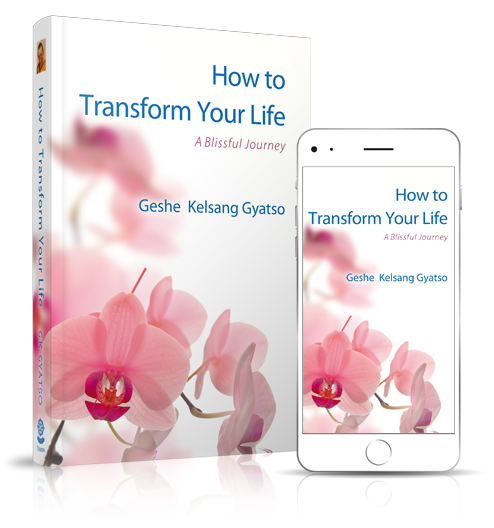 With this book, Geshe Kelsang Gyatso offers us step-by-step guidance on the meditation practices that will lead us to lasting inner peace and happiness. With extraordinary clarity, he presents all Buddha’s teachings in the order in which they are to be practiced, enriching his explanation with stories and illuminating analogies. This is a perfect guidebook to the Buddhist path. The Foundation Program (FP) is designed for those who wish to deepen their understanding and experience of Kadampa Buddhism through a systematic study of six texts by Venerable Geshe Kelsang Gyatso Rinpoche. When you join you will experience the great benefits of being part of this systematic study program. Through this you can improve your good heart, your wisdom, and your cherishing of others by going deeper into your study and meditation practice. Read more about the texts studied and benefits HERE. *This is not a drop-in program and enrollment is required. All FP students sign up freshly at the start of each new book or section of a book. It is helpful if you have attended General Program classes (drop-in) regularly for a minimum of 6-months before joining the Foundation Program. It is strongly advised that you start your studies at the beginning of a new book or section of a book. Please inquire about scheduling of classes or any other questions you may have. Email: education@meditationinmass.org for more information. It is also possible to participate in the Foundation Program via correspondence for those living far from the center. Cost | $70 per month membership; includes the cost of FP as well as all other weekly drop-in classes and weekend retreats. If you have any questions about the program, please feel free to contact the Education Program Coordinator – education@meditationinmass.org. 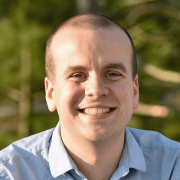 Kadam Kyle is the Resident Teacher of KMC Boston and has been teaching Buddhism and meditation for five years, beginning at the Kadampa World Peace Temple in New York and then moving to New England three years ago to teach. He has studied and practiced extensively on long-term, in-depth training programs at Kadampa Buddhist temples in New York and in England. Kyle is well known for his good heart and clear, practical teachings.